With my belated best wishes for 2014, comes here the first short update for this year compiling the latest publications. 1. Karma bde legs (ed. ).sMin gling gong ma rim byon gyi gsung ’bum phyogs bsdus. 25 vols. Bod ljongs bod yig dpe rnying dpe skrun khang, 2013. ISBN 978-7-80589-330-3. 2. bKa’ brgyud gser phreng. 2 vols. Mi rigs dpe skrun khang, 2013. ISBN 978-7-105-12814-3. 3. A ’dzom ’gro ’dul dpa’ bo rdo rje’i gsung ’bum. Zi khron bod yig dpe rnying ’tshol bsdu rtsom sgrig khang (ed.). 10 vols. Bod ljongs bod yig dpe rnying dpe skrun khang, 2013. ISBN 978-7-80589-279-5. 4. ’Phags bod kyi skyes chen ma dag gi rnam par thar pa padma dkar po’i phreng ba. 15 vols. Bod ljongs bod yig dpe rnying dpe skunk hang, 2013. ISBN 978-7-80589-402-7. 5. Chos mngon pa’i bstan bcos ye shes la ’jug pa (1st vol.) 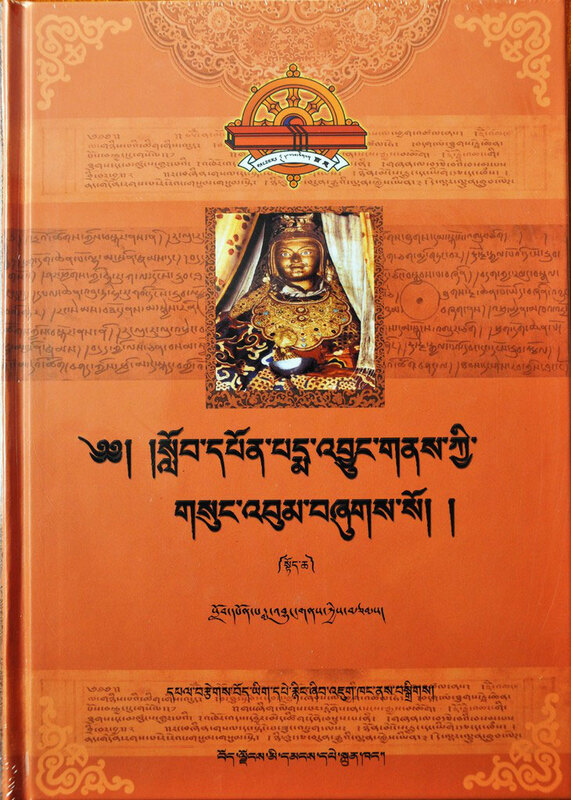 and Chos mngon pa bye brag tu bshad pa chen po (2nd–10th vols.). 10 vols. (A4 size, hard cover), Krung go’i bod rig pa dpe skrun khang, 2012. 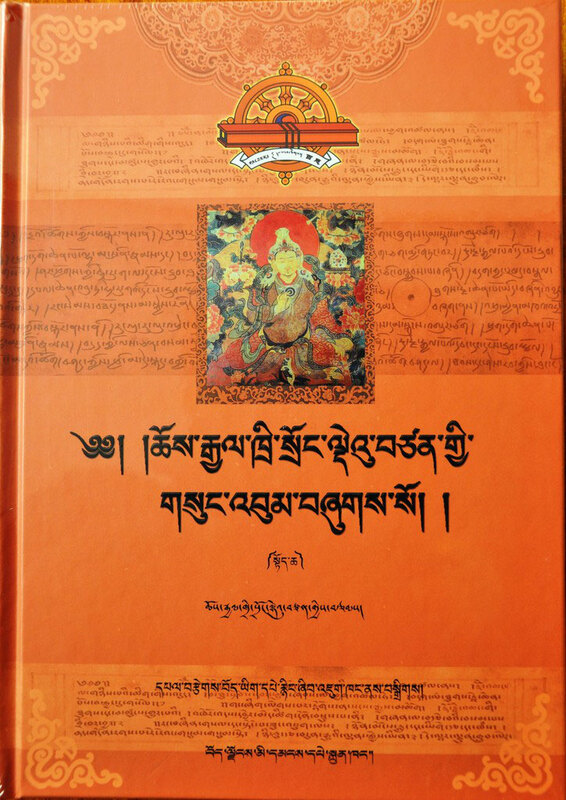 ISBN 978-7-80253-356-1.Translated from Chinese into Tibetan by Blo bzang chos ’phyogs during 1945 to 1949 (These two titles had previously not been translated into Tibetan). The collection reproduces the original manuscript in the translator’s handwriting. 1. Ta si byang chub rgyal mtshan gyi bka’ chems. Gangs can gtsug lag rin chen phreng ba, no. 2. Bod ljongs mi dmangs dpe skrung, 2013. ISBN 978-7-233-04073-0. 2. 'Bri gung bstan 'dzin padma'i rgyal mtshan. ’Bri gung gdan rabs gser phreng. Gangs can rig mdzod, no. 8. Bod ljongs bod yig dpe rnying dpe skrun khang, 2013. ISBN 978-7-80589-000-5. 3. Kun mkhyen ’Jam dbyangs bzhad pa Ngag dbang brtson ’grus. ’Jigs byed chos ’byung. 2 vols. Gangs can rig mdzod, nos. 66–67. Bod ljongs bod yig dpe rnying dpe skrun khang, 2013. ISBN 978-7-80589-277-1. 4. 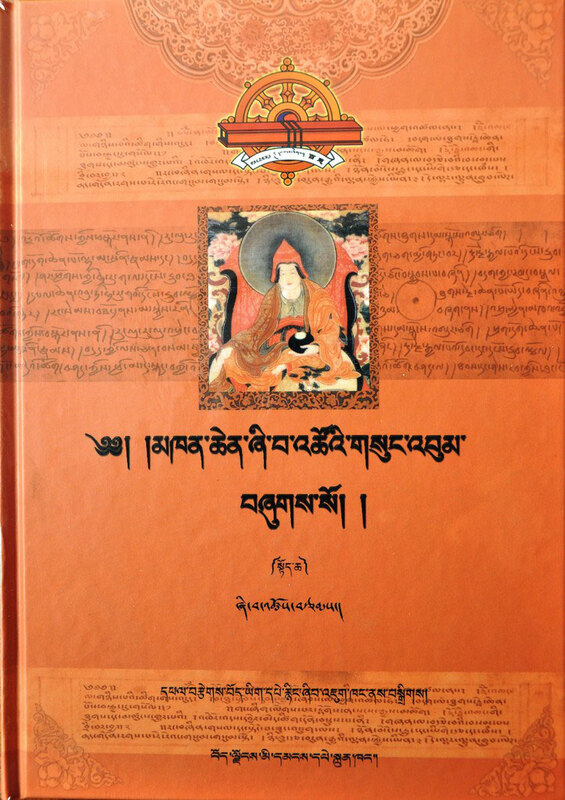 Gu ge Pandi ta Grags pa rgyal mtshan (1415–1486). lHa bla ma ye shes ’od kyi rnam thar rgyas pa. Bod ljongs mi dmangs dpe skrun khang, 2013. ISBN 978-7-223-04148-5. Contains: lHa bla ma ye shes 'od kyi rnam thar rgyas pa, lHa bla ma ye shes 'od kyi rnam thar rgyas pa'i mchan 'grel by Do rgya dBang grags rdo rje, and rNam thar dgos 'dod 'byung ba (i.e. the Gu ge pandi ta grags pa rgyal mtshan gyi rnam thar) by 'Jam dbyangs Nam mkha' bstan pa.
1. Be ri Tshul khrims. Glu ’bum po ti dgu sgril and Srid pa'i gna' sgrung ring mo.2 vols.Bod kyi dmangs khrod rig gnas sgyu rtsal deb phreng. Bod ljongs bod yig dpe rnying dpe skrun khang, 2013. ISBN 978-7-80589-365-5. 2. Padma bkra shis. Bod yig gna’ dpe’i rnam bshad. Bod ljongs mi dmangs dpe skrun khang, 2013. ISBN 978-7-223-03986-4. 3. sGra snyan blo gsar ’jug sgo. Bod ljongs mi dmangs dpe skrun khang, 2013. ISBN 978-7-223-04020-4.